How often should I post on Social Media? Should I post daily? NetBlue Media / Business / How often should I post on Social Media? Okay, you’re motivated, you have an idea of what you want to say. Now comes the big question. How often are you going to post? When are you going to post? It seems difficult and a bit daunting at first, but a little bit of strategy goes a long way. 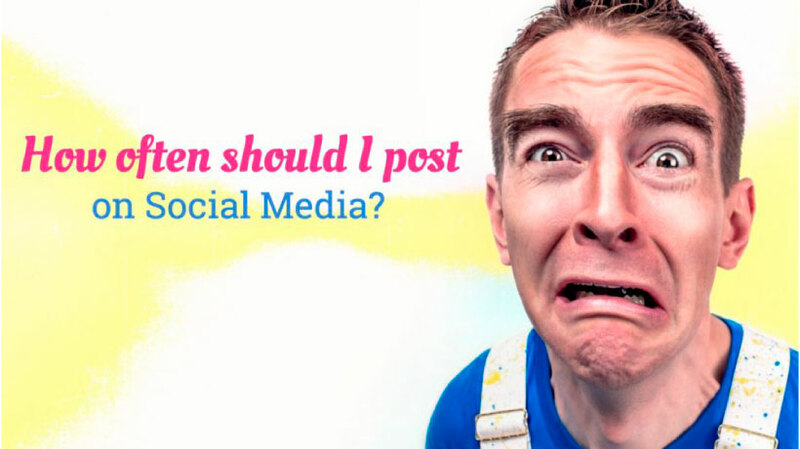 When you think about posting, the first question you have to ask is how frequently are you going to post? Now, some of it can be sporadic or as the thought happens, but a little bit of preplanning, and a bit of regularity can go a long way. So, how often should you post? Well, search engines tend to index blogs that have regularly scheduled posts. Now, you’ll note I said blog. Posting to social media is great, but it’s kind of disposable. Ultimately, things get pushed off the page, or get pushed really far down on your timeline. However, with each blog post for structured content that you create, that content can of course be easily shared to social media, but then gives people a place to go and visit. Now, this could be your blog or your company’s website, or any other approach that you take. I don’t just mean a pure web blog, I simply mean your website where your most original content is shared. Consider posting consistently on the same day of the week. And if you can, pick a schedule. For example, if you’re only going once a week, make sure it’s on one day of the week. The middle of the week tends to do better than Monday, when people are just getting back to work, Friday, when they’re thinking about getting away for work, and Saturday and Sunday when most people are not working. Which means that most business actually only happens three days of the week, which is Tuesday, Wednesday, or Thursday. If you’re going to go three times a week, well maybe it’s Monday, Wednesday, Friday to space things out. And you might catch a few people at the end of the day on Monday or early on Friday, and of course in the middle of the week. Or, maybe it’s daily, or just on the weekdays. When possible, you can write content in advance, and then schedule it to appear on the days that you want. But if you’re not talking about your business, well people aren’t learning about your business. It doesn’t just have to be a blog though. You can do the same thing with social media posts. These can be written in advance and scheduled if needed. So if you know you’re going to be heading out on vacation, you can still be publishing while you’re traveling, and sharing important information. The key here is to use multiple platforms. Not everyone is going to follow you on each platform. Another thing though, to not punish those who are following you in multiple places is don’t release all the tweets and blog posts, and social media posts at exactly the same time. Staggering things out or putting them at different times of day will increase the chance of people seeing it, and prevent overload of things popping up way too many times at once.